Interior designer Perry Umphrey has been a part of the Decorators’ ShowHouse for almost two decades. “I participated for two years as a student and then did my own room for the first time in 2001,” Umphrey said. This year, he has a new role in the Alabama Symphony Orchestra’s annual fundraiser. He’s co-chairing the event with Molly Bee Bloetscher. The Decorators’ ShowHouse, hosted by the ASO’s Symphony Volunteer Council, started in 1976. This year, the house at 3007 Cherokee Road in Mountain Brook will be open April 28-May 13. 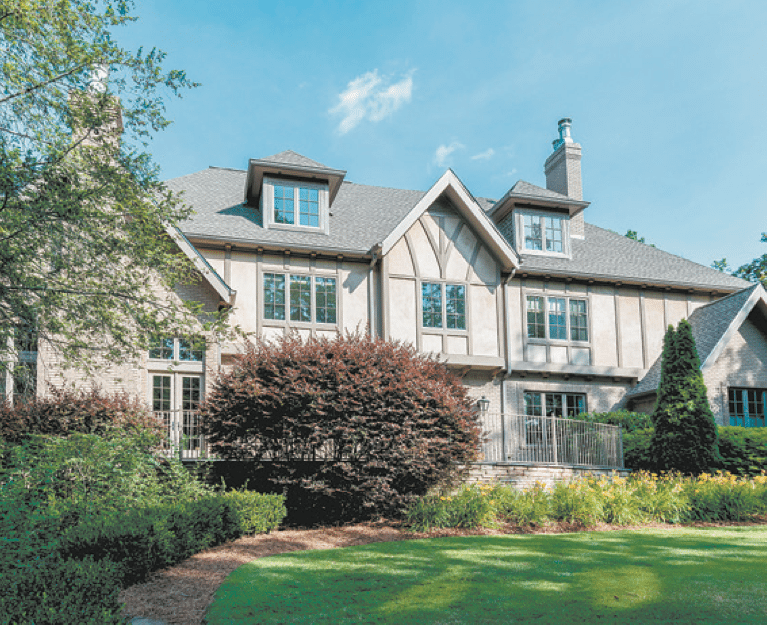 The Tudor-style house, now on the market for just less than $2 million, sits on two acres. It has five bedrooms, five and a half bathrooms, a pool and a pool house. Other features include Brazilian hardwood floors, vaulted and coffered ceilings, a custom kitchen and two laundry rooms. Nan Teninbaum, ShowHouse publicity chairman, said Umphrey’s experience as a designer gives him a unique perspective as co-chairman. “He was a perfect fit,” Teninbaum said. Umphrey had some advice for his fellow decorators and designers. Umphrey said about half of those designing rooms for this year’s house are first-time participants. Among the newcomers is a design team from the University of Alabama. For years, Umphrey led a group of students from the now-closed Southern Institute of Interior Design at Virginia College in creating a ShowHouse space. “When Southern Institute closed, we wanted another school to get involved,” he said. Umphrey and Teninbaum think this year’s designer lineup will appeal to all generations. Umphrey said the house lends itself to a wide range of ideas. Umphrey said he’s pleased that color is back in the design mix. Teninbaum said she loves the return of color, too, and thinks the house has “something for everyone.” She’s also happy about the name of this year’s ShowHouse. “It’s called the Cherokee Road Estate in Memory of Mike Griggs,” she said. Griggs, who died last fall, was a longtime ShowHouse volunteer with his wife, Linda. Creating main level spaces in the 2018 ShowHouse are: Blackjack Gardens, front porch; Umphrey Interiors, lower gallery; Christopher Architecture and Interiors, living room; Design Southern Style LLC, dining room and butler’s pantry; Griffith Art Gallery, hall gallery; Birmingham Wholesale Furniture, keeping room; Trends & Traditions, kitchen; and Scandinavian Design Gallery, master bedroom and bathroom. Upstairs, you’ll see bedrooms and bathrooms by Lynne Coker Interiors, Lila Pryor Frank of Huntsville, and the UA design team. Other upper-floor spaces are by Holly Shirley Interiors, study; Susanne Ray, hall bathroom; Pottery Barn, bonus room; Lynne Frazier Interior Design LLC, study; Four Corners Gallery, upper left and upper right galleries; and Umphrey Interiors, upper center gallery. Outside, Blackjack Gardens is creating a pretty place to relax on the terrace, and Pottery Barn will make the swimming pool area even more inviting. Returning this year are the ShowHouse’s Decorator Seminars, which Teninbaum said have become very popular. 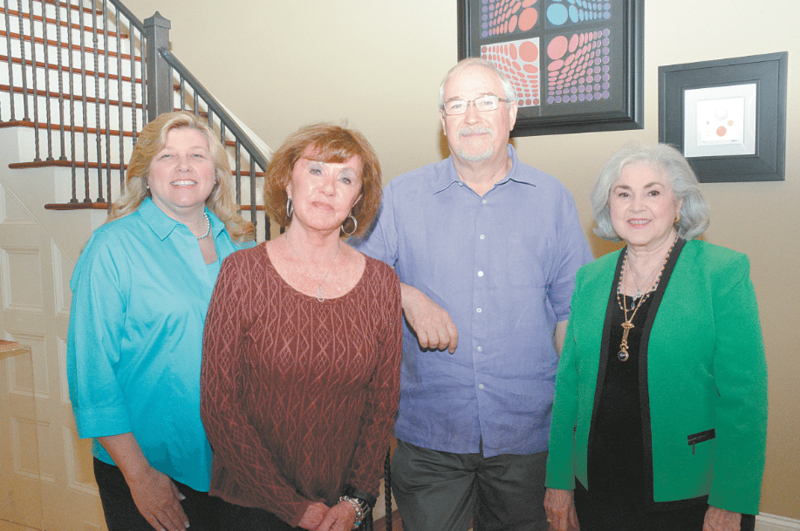 All the learning sessions are free and start at 1:30 p.m.
Decorators’ ShowHouse chairman are, from left, Molly B. Bloetscher, Char Bonsack, Perry Umphrey and Nan Teninbaum. Journal photos by Jordan Wald. • This year’s Decorators’ ShowHouse is April 28-May 13. • The opening day celebration is at 10 a.m. April 28. • A preview party is April 26, 6:30-9 p.m. It’s $75 and includes an open bar and heavy hors d’ouevres. Call SVC President Char Bonsack at 914-9084 for reservations. • ShowHouse hours are 10 a.m.-3 p.m. on Tuesdays-Fridays, 10 a.m.-4 p.m. on Saturdays, and 2-5 p.m. on Sundays. • Tickets are $20 through April 27 and $25 after April 27 and at the door. Tickets for groups of 20 or more are $20 each. • Tickets are available at svcalabama.com, at outlets throughout the Birmingham area and at the door. • The house is at 3007 Cherokee Road in Mountain Brook. house. Parking is at Mountain Brook Presbyterian Church, 3405 Brookwood Road. Mini-coach buses will run continuously during regular hours. Parking and the shuttle service are free. • Christian Catering again will provide food in the Margaret Alford Tea Room. It’s open Tuesdays- Saturdays, 11 a.m.-1:30 p.m. Lunch is $15. For reservations, required for groups of 10 or more, call 991-2712. • The Symphony Shop will sell handmade items from artisans as well as antiques and gifts. be open daily if you want to purchase items from the ShowHouse. • Special events include a Cinco de Mayo celebration with chips and salsa plus music by Allen Barlow from noon to 2 p.m. on May 5 and a fashion show by Darlene Real-Higginbotham from 11 a.m. to 1:30 p.m. on May 9. • The last day of tours is Mother’s Day, May 13, when you can bring your mom for tea and a sweet treat. Mothers, grandmothers, and mothers-to-be receive flowers.